In preparation for heading back to school we are sharing this short and sweet Bento Tote tutorial with you from Nic Nacks. 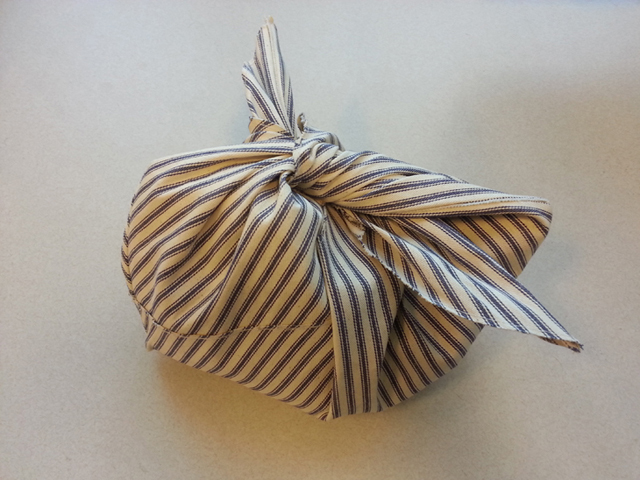 The bento tote is a convenient way to wrap up any little lunch, and can be tossed in the wash when it gets dirty. Take it out for picnics, weekend road trips, or for school lunches. 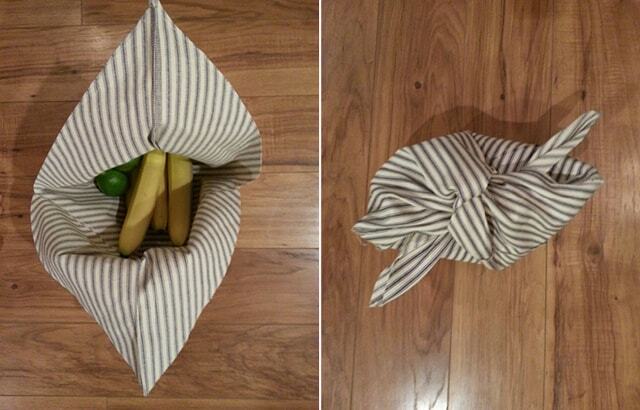 While you’re at it, sew up a few reusable snack bags too. I love the idea of making a bunch to use as goodie bags for a party. Don’t forget to head on over to Nic Nacks for more DIY projects, like the Industrial bookshelf (I definitely want to make for my home), tips for Plant potting made easier, and your complete Iceland Itinerary . I can’t promise you won’t be booking a flight by the end of that post. I haven’t seen bento totes around much, but I’m telling you, you guys. I should. They’re amazing. I made this bento tote for myself a few months ago after spotting some over here, and I’ve used it almost every day since. Love is definitely the appropriate word to use here. It makes for the best lunch sack, and I’ve used it to hold everything from snacks on a road trip to knitting supplies on my way to a craft night. I made mine using some leftover bed ticking that I used at my wedding, but any thicker fabric would work great. And the whole project took me a little less than two hours. 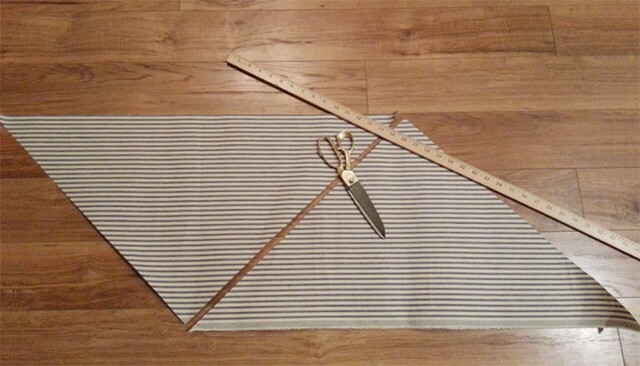 STEP 1: Cut out two right triangles of fabric. STEP 2: Sew the edges of each fabric piece to prevent fraying. 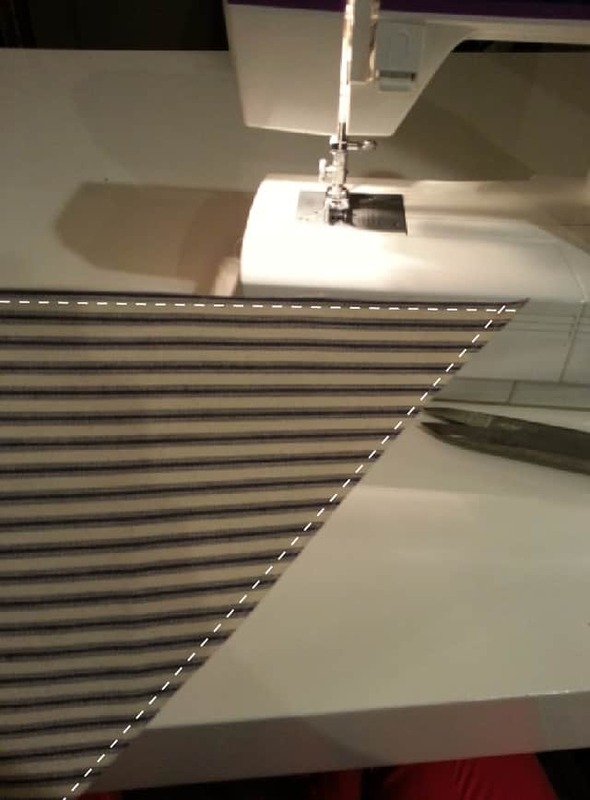 If you want to be fancy (and you are using a soft fabric) fold the edge of the fabric over and iron, then sew a nice hem all the way around each triangle. Or if you don’t mind a raw edge like me, you can just go ahead and sew a line of thread about 1/8 of an inch in from the edge of the fabric all the way around to prevent fraying. I’ve emphasized where I put the thread line with a white dashed line in the photo. STEP 3: Sew the triangles together. And now we start the construction of the bag. Place one triangle on top of the other in a mirrored fashion, with the center of the triangles overlapping one another (as pictured). 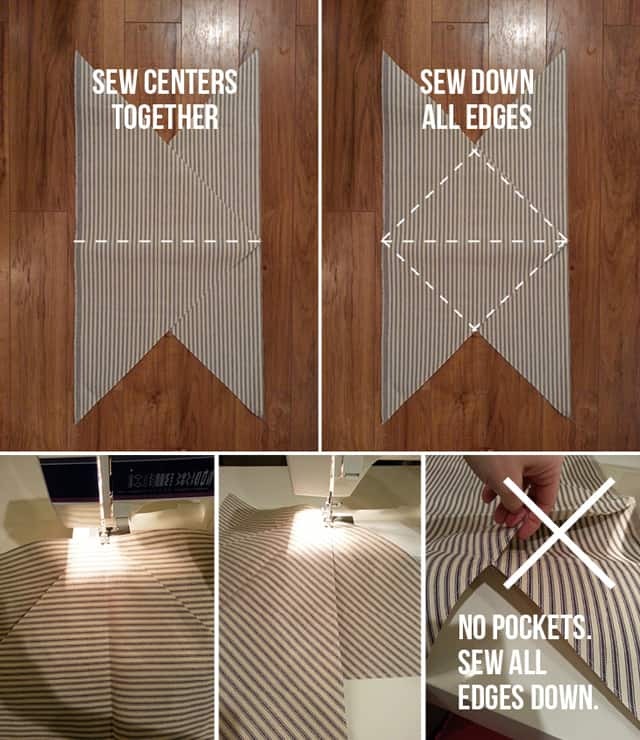 Attach the triangles by sewing a straight line down the center. Then, continue attaching the triangles by sewing down all the edges where the two pieces of fabric overlap. There should be no pockets. The two pieces will now function as one piece. STEP 4: Sew up the sides, making sure to cut the bottom corners into angles. This is where the bag is going to take its final shape. NOTE: I used a french seam as I sewed the bag into its final shape to keep a nice looking edge on the inside of the bag. 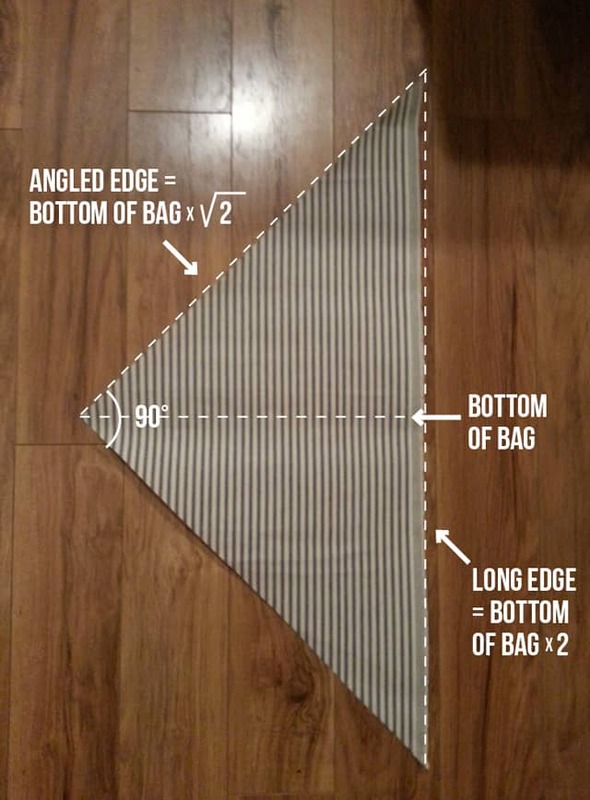 First, fold the large piece of sewn-together triangles in half (flip the bottom portion up over the top portion at the center seam, essentially) so you have the basic bag shape we will be creating. Make sure to match up the top tips of the fabric. Second, pin if desired to keep everything in place while sewing. Third, measure and mark approximately 3.25 inches up from the bottom corners and 3.25 inches in from the bottom corners to mark the edges of the angled corners on your finished bag. You can make the corners at whatever angle you want though, so feel free to adjust as you like. Fourth, you are now going to sew up the sides of the bag. 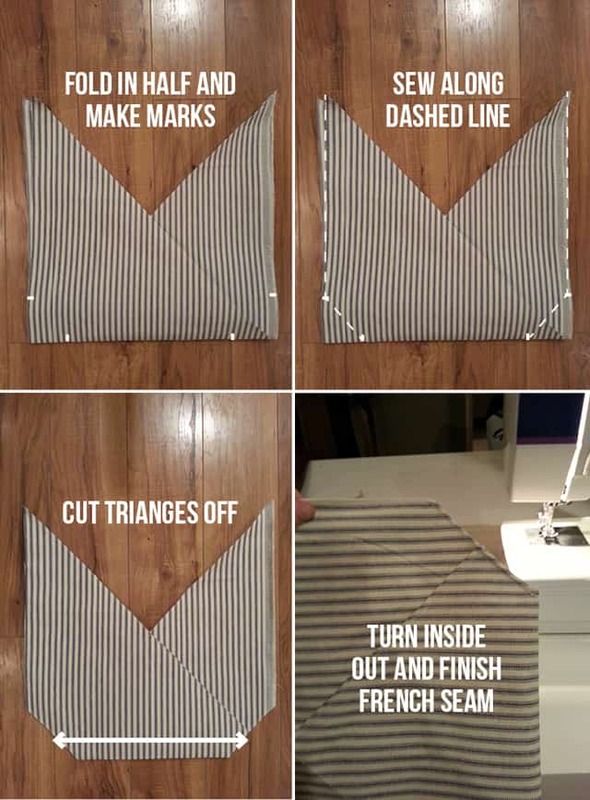 On the right side of the fabric, starting from one of the marks on the bottom of the bag, sew a straight line directly to the corresponding side mark on the same side of the bag. Then turn your fabric 45 degrees and sew straight up the edge of the bag through the upper tip of the fabric (sew your line off the fabric to complete the seam). Fifth, repeat step four on the other side of the bag. 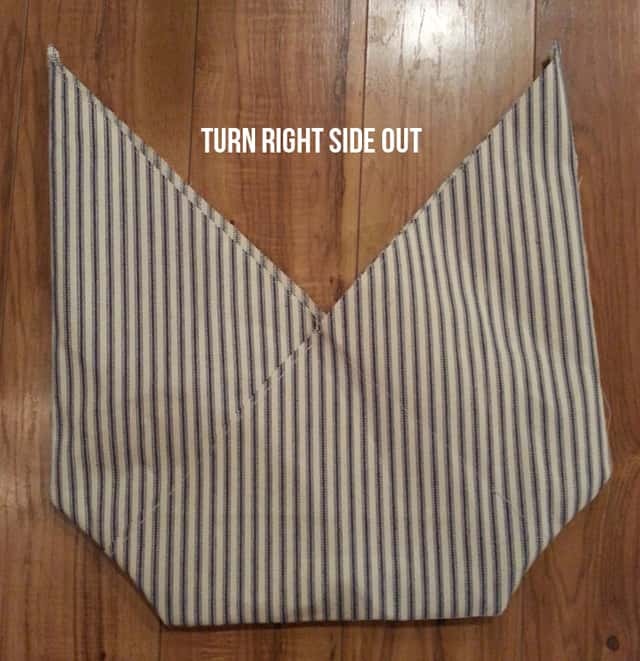 At this point you will have the bag in its basic form, but it will have two little floppy triangles on the bottom edges that you don’t need; trim off that fabric and complete the french seam by flipping the bag inside out, ironing and sewing just on the outside the seams you made on the right side of the fabric. Once you’ve finished the French seam on the wrong side of the fabric, turn the bento right side out, and admire that fine bag you just made! You’re done! Enjoy your bento tote. thank you soooo much!! i’ve been wanting some bento bags, but i knew i could make them!! now i can, and i’ll save a lot of money. thanks thanks thanks! Perfect! I am not great with a sewing machine, but I think I can handle this. Thanks so much! Thank you so much. Your instructions are so thorough. Can’t wait to try this. Thanks for the tutorial! Have you washed your bag yet? I just got some super light-weight denim for these bags, but it wants to fray big time. I was hoping to hear/see that your ticking held up strong and still looks good after a wash. It held up for quite awhile but light weight denim makes me nervous. IF you could serge the edges that would help. I absolutely love this pattern and will be creating it for my son and my lunches. Does the angled stitch on the bottom corners create a more “squared” bottom to allow for nicely fitting Bento boxes or Tupperware?